Outdoor fitness trainer Lasse Tufte seeks out areas of peace and quiet for lots of fresh air, fantastic views, rewarding activities, and fewer visitors. Trainer Lasse Tufte loves nature based activities, but ideally without the hordes of visitors that tend to gather around the most well-known tourist attractions. His thing is calisthenics, which is a kind of training without gear, using your own body weight as resistance instead. 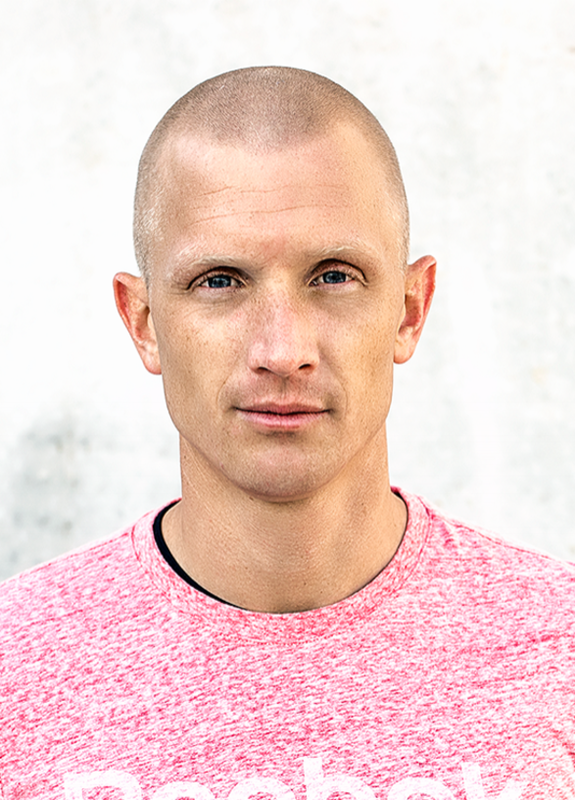 He is also the founder of the training parks Tufteparkene, which consist of more than a hundred free outdoor training spots equipped with uncomplicated apparatuses. 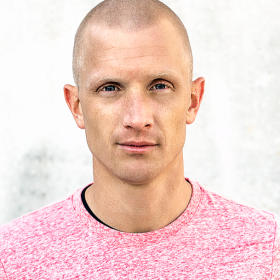 His four books (Calisthenics volume 1 and 2, and Tren sammen (Training together) volume 1 and 2) are national bestsellers. Lasse’s main focus on his many travels around Norway is to inspire people to spend more time in nature. His tips for less crowded spots, where you can go practically undisturbed, are where he feels at home. Sometimes these suggestions are alternative paths just a few minutes off the beaten track, in places where you can collect experiences and take photos from a fresh perspective. Where: A quiet spot by the Hjørundfjord, with fewer tourist buses than in the rest of Fjord Norway. A national park easily accessible from Oslo. Where: If you are in the Geirangerfjord area, go your own way. The Trollveggen wall seen from the other side of the valley, for the best view. Where: A beautiful place by the Norangsfjord, in the area of Ålesund and Sunnmøre. Where: In the immediate outskirts of Norway’s capital, Oslo. Where: A hidden hike by Norway&apos;s second most visited fjord, the Nærøyfjord. Where: An uncommon rocky landscape in Telemark. Where: A lesser known path by the Briksdalsbreen glacier in Stryn. Where: The adventurous parts of Finnemarka in Buskerud, close the city of Drammen. 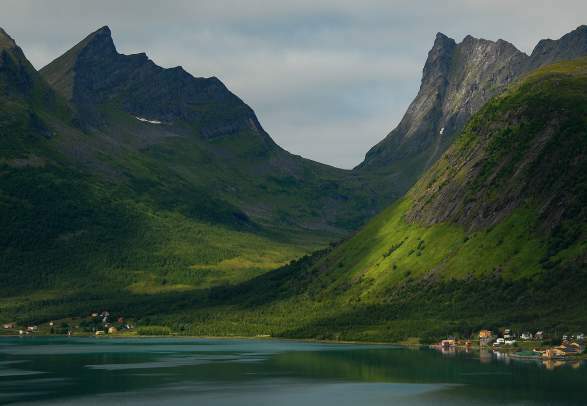 Where: Norway’s second largest island (after Hinnøya) in Troms county in Northern Norway. Sæbø is a small, charming town by the peaceful Hjørundfjord. A rewarding hike with a special view over Geiranger. A serious climbing trip that gives a unique view of Trollveggen. A beautiful and traditional place by the Norangsfjord. Oslo's huge forest area on the eastern side of the capital. A hidden hike to a view of the Nærøyfjord that you will not get anywhere else. A hiking goal in Telemark's rocky mountain area. 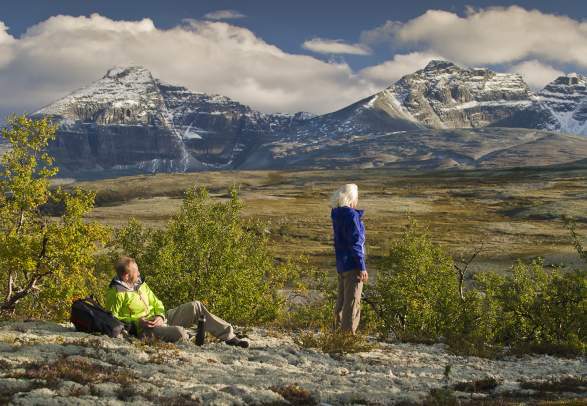 A hiking trip past the tourist queues that gives a spectacular view of several glaciers. The great outdoor are found just outside the city of Drammen. Find alternative paths away from the crowds. To use something is not the same as consuming it, as prominent Norwegian philosopher Arne Næss once said. Norway’s national parks provide a perfect example of this. Seeing hundreds of thousands of litres of water cascading down a cliff can be a strangely fascinating and humbling experience. Some of the world’s tallest waterfalls are found in Norway. Go right before or just after the high season and enjoy a warm welcome from locals, usually mild weather, and few crowds.